UK Nuclear Energy Policy is in disarray after the cancellation of Toshiba's Moorside project and the suspension of Hitachi's Wylfa project. The key issues are cost and funding. New evidence from UK ETI show how nuclear power can be delivered at half the current cost but with major changes to the overall programme and the commercial approach of industry. Can nuclear and renewables learn to live together to keep Britain’s lights on? In an article published in Nuclear Engineering International, Tony Roulstone examines the issue. The much vaunted "nuclear renaissance" has not worked out as planned, with projects running many years behind schedule and hugely over budget. The major concern with nuclear used to be safety, but now it is affordability. Conventional nuclear power plants are too big, take too long to construct and provide power that is much too expensive. There are several strategies to address these problems but the most promising shorter term remedy is small reactors based on well established LWR technology but made in a very different manner. This alternatives are discussed in the attached paper published in Modern Power Systems in November 2017. Interest firstly in the USA and now in the UK in small modular reactor (SMR) designs is driven by the very high cost and long duration of projects like the EPR planned for Hinkley Point. Such projects are just too large for even the largest utility and they take too long to be able to respond to changes in market demand. Because of their smaller scale, (less than 300MWe), the investment for an SMR will be smaller and they should be built more quickly. SMRs can be built where the level of demand is smaller, more in line with their power output. Or, if the demand is larger, a series of SMRs can be constructed rather than one large reactor. In 2014, the case for SMRs in the UK was examined both by a parliamentary committee and by industry. Each concluded that SMRs based on well-proven light water reactor technology could be considered for the next phase of UK nuclear investment, after the 12 large reactors planned for construction during the next twenty years. In his article in NEI in August 2015, Tony Roulstone explains why SMRs, can in principle, be designed to compete with larger reactors on capital costs. SMR designs need to meet two conditions. They must have simplicity at the heart of their concept, which allows much of the complexity of modern reactors to be avoided and will result in a lower power scaling effect. SMRs must be designed at the outset for factory construction and the design-for-manufacture approach must be applied across the whole power plant, not just the reactor and turbine systems. Meeting these conditions will allow us to address the industrial questions, which then become the keys to competitive SMRs. Can SMRs be made in high volumes, constructed in many countries and in ways that satisfy a variety of regulatory systems? Other industries such as civil aerospace have made this major transition, in the decades starting in the 1960s, from many high-cost bespoke designs to standard and economically efficient aircraft and mass air-travel. If positive answers can be found to these business problems, rather than engineering and scientific questions, SMRs will have a bright future. At least one way of dealing with the perennially high cost of nuclear power will start to be realised. Reduce the number of designs. The UK is planning to have three, or perhaps with a Chinese design four reactor types. Each will have licensing and set-up costs, its own supply chain and infrastructure. Standardise on a low cost design. Standardising on a reactor which is simpler to construct and can be built quickly reduces capital and interest costs. Construction learning. Nuclear construction has poor productivity. Projects are not organised to transfer best practice and productivity lessons, to a large degree because of their extreme scale, complexity and long duration. Global experience shows just 3% cost improvement over a series of reactors. Only with long-term productivity initiatives (as in Japan and South Korea) are learning rates above 5% achieved. 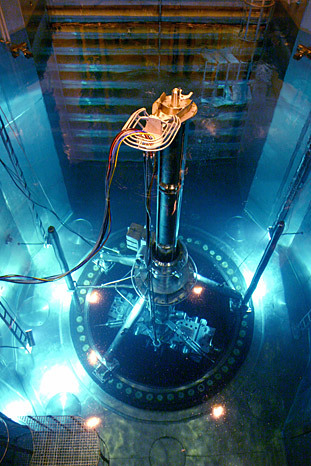 Reactor costs can fall by 30% for a programme with a single reactor type. Applying these ideas to the UK's 16GWe nuclear programme could save £34 billion over its lifetime, reducing average energy costs by 17%, from £80/MWh to £67/MWh. Talk given at the conference organised by China Light & Power in Hong Kong on the 20th Anniversary of the Daya Bay the first commercial nuclear power plant in China. Challenge of the very high construction costs in such a large nuclear programme. Proposals for Small Modular Reactors depend on the ability to reduce cost through volume manufacture to offset the expected savings of scale. This paper given at the Nuclear Institute Conference in September argues that the economic effects of scale have been over estimated and the data from actual nuclear plant built is that larger reactors are more complex, take longer to build and these and regulatory creep have completely offset any possible costs savings. The effect of scale and volume effects are modelled based on recent cost estimates of large and small reactors carried out by Abdullah at Carnegie Mellon. It is found that modest volumes of SMRs are required to offset the most likely scale effects. the key is designing an SMR such that a preponderance of systems can be factory built and assembled on site. Dealing with nuclear waste and how molten salt reactors might be applied. Construction economics and the possible roles of new designs of small modular reactors. A talk by Tony Roulstone as part of Oxford Energy's Annual Conference in June 2014 discussing the scope of nuclear energy to complete with gas and transform the UK energy market. Some insight is provided into the high costs of construction of nuclear power stations in the UK and hence the high price sought for their electricity. The many and varied problems with projects and services over the pasts ten or more years, across the Civil Service are providing the impetus to consider reform. Both the economic constraints adn the demands for better service from the general public mean that this issue cannot be avoided and will be a priority for Government for at least the next decade. The last Labour Government attempted reform by means of pseudo markets for services and by focusing on outcomes with a Prime Minster's Delivery Unit. The Coalition Government has a reform program but this has been focused on lower costs rather than more effective delivery. This paper address the key weaknesses as perceived by an interested outsider and makes proposals for reform which include separation of policy and delivery, new public service corporations tasked with effective delivery and new recruiting, development and career structures for more professional delivery leaders required for the challenges of Delivery in the 21st century. In the past nuclear energy in the UK had the benefit of explicit, or implicit subsidies because it was regarded as as Government-led strategic program. The new Electricity Market Reform and the Energy Act of 2013 makes transparent the costs and risk of construction, of waste and of decommissioning, in exchange for a long term contract for the electricity generated, which is available to all low-carbon sources of energy. The price of this contract for the Hinkley C project appears to be high when compared with current price levels of wholesale electricity, but it is lower than the costs of other low-carbon power and it should provide the basis for lower prices for follow-on projects which will be more comparable with the price required for investment in new gas-fired power plants. The recognised market failure in the development and funding of Small Businesses in the UK was studied for the Labour Party initially by Nigel Doughty until his death at the of 2012. His initial report was followed and developed by a taskforce under the leadership of Bill Thomas with the support of a team including Tony Roulstone. In the UK there are almost 5 million small businesses. The innovation which occurs in a distinct group of entrepreneurial small businesses is the main means by which the medium and large companies of the future are created. Small businesses are therefore crucial to both growth and to jobs. The report addressed the issues of funding, customers, innovation and the regulatory environment from the point of view of small businesses and made a wide range of recommendations. The report is attached below. UK has not constructed a new nuclear power station for 25 years. The new stations planned for construction during the next ten years are likely to take longer and be more expensive that the Government had expected. There is an urgent need to recognise best and learn from the best international practice of nuclear construction. Major contributor to a wide ranging review of Defence Procurement approach in the UK which was led by Bill Thomas. The review was based on extensive consultation within the Defence Sector and with officials involved in defence procurement in other countries including the US, France and Israel, together with the experience of other sectors with similar complex procurement problems. The review made 37 recommendations and can be accessed at the link below. Since the 2006 Energy Review the capital costs of nuclear have risen sharply, challenging the viability of new nuclear build in the UK. Also, it has been recognised that the electricity and carbon markets are not providing the right price signals for new clean energy investment, including nuclear. Market reforms are being considered by Ofgem and DECC to ensure that the £200bn investment in all forms of energy required over the next 10 years are delivered. In the attached paper Tony Roulstone discusses the facts and forecasts of nuclear costs and the options for market reform. A overview for the non-specialist of some of the design issues in the 21 st century. The paper was given to undergraduate at Cambridge University in March 2010. It provides context for the renaissance of nuclear energy and the essential principles before discussing the safety context against which all nuclear design is set and providing some examples in vessel design. An overview of the issues for developing a nuclear R&D strategy in the UK in the 21st century. The broad issues facing the UK when contemplating the twin energy policy challeneges of Climate Change and Security of Supply, are examined and the barriers to the re-energising the UK nuclear market considered. The paper makes proposals both for the scale of new build that should be contemplated and the means of accelerating the program defined.